The history of mouth fresheners dates back to million of years because very sadly bad breath existed back then as well. The continued efforts and trial and error done by our ancestors has resulted in the inventions and production of modern day mouth fresheners. India being a culturally rich country found their answer to mouth fresheners in natural ingredients, which not only kept the mouth fresh but also took care of the overall oral health. I am the kind of person who likes to assimilate natural things in my diet and instead of mouth freshening chewing gums I would any day prefer Saunf, Elaichi or Cloves as mouth fresheners. When I received a sample of Baba Elaichi, I couldn't wait to try it. The packaging claimed it to be Exotic, Aromatic and Refreshing. So the real success of this product would be if it really passes these 3 criteria. 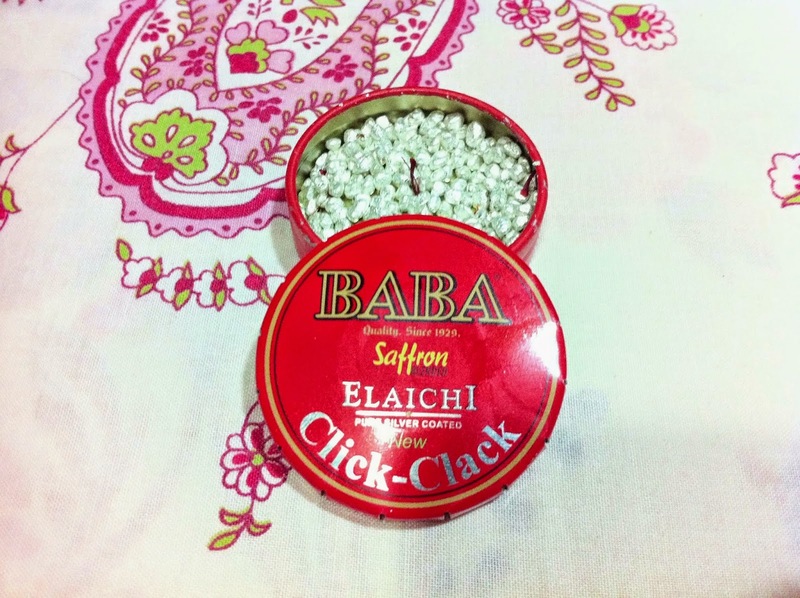 I opened the new click clack pack of Baba Elaichi to discover silver coated cardamom seeds with Saffron sprinkled on it. It made a pretty sight. Test One Cleared: It looked Exotic to me. The next instant I was holding it in front of my nose with my eyes closed to breathe in its aroma. It smelled spicy and flavorful. The aroma was strong yet subtle in a very pleasant way. Of Yeah...test number 2 cleared as well. I just wanted to keep inhaling its aroma. Then I gathered a few seeds between my fingers and tossed them in my mouth. The next few seconds were blank. Slowly the flavor started unfolding in my mouth. Minty, flavorful with a tinge of sweetness. The Elaichi in my mouth kept me salivating, while I tried to decode its taste. After some more time, my complete mouth felt refreshing and flavorful. This feeling continued for more than 3 hours even after I had chewed and swallowed the Elaichi seeds. The third and final Test...I have never tasted anything as REFRESHING as this. And bad breath...gone in seconds. The silver used to coat the Elaichi seeds are produced in house with 999 grade silver without any animal skin contact and is untouched by human hand. >Good packaging: The click clack pack is smart, compact and handy. Very easy and light to carry in your bag if you are traveling. >Baba Elaichi delivers what is promises. It doesn't disappoint. It fights bad breath and keeps your mouth fresh. >5 gm pack of the Saffron coated Baba Elaichi costs Rs. 65. Considering the price of Cardamoms, this is a good deal. It is reasonably priced. Just make sure you buy it in bigger quantities because this is one mouth freshener you would like to enjoy with your entire family. After I tasted and loved Baba Elaichi I decided to share it with my family. 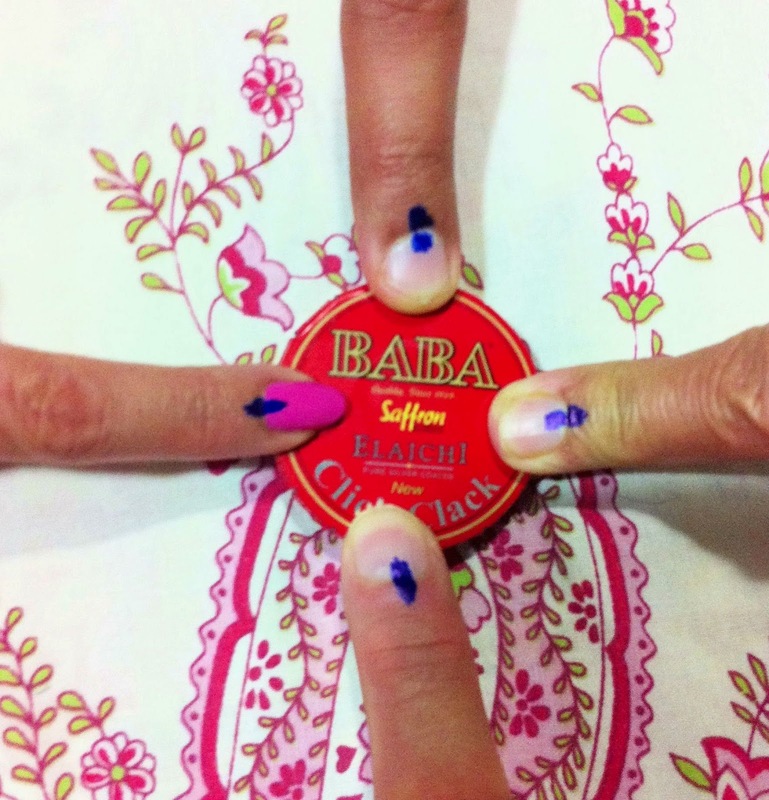 Well ..their Verdict..Check the pictures below..
And they go for a second round...Some more Baba Elaichi Please..! seems interesting!! have to give it a try!! My father would like it. I know. Hey Aditi, please participate in the giveaway on my blog.